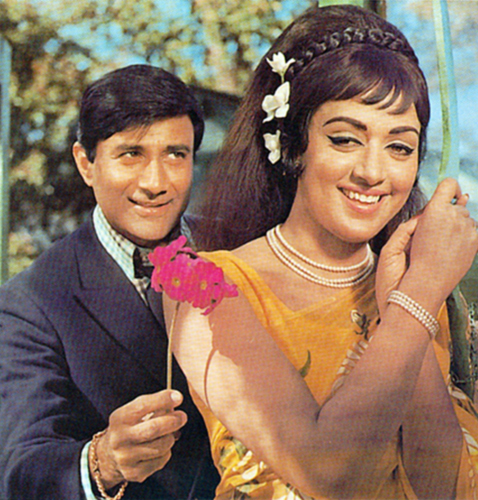 Rediscovering the merits of Dev Anand’s slick, stylish Johny Mera Naam! Going through the best of Vijay Anand offers unfailing gratification. His filmmaking is a wealth of style, storytelling and treatment that seldom limits itself to the boundaries of commercial cinema but breaks, bends and reconstructs it in ways no one deemed possible. More importantly, there’s so much poise in his ingenuity, even the improbable seems like an exhilarating idea. Johny Mera Naam reinforces this analysis better than any of his films. 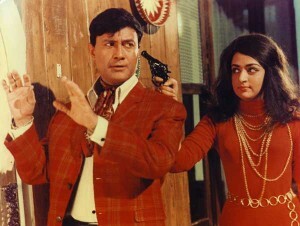 A ritzy potpourri of revenge, lost and found, undercover operations, infiltration in enemy camps, concealed motives and sly game of wits, the 1970 blockbuster packs in quite a loaded action drama with Dev Anand, Hema Malini, Pran, Premnath, Iftekhar, Jeevan, Padma Khanna and I S Johar in key roles. Shot predominantly in Kathmandu, Nepal (a nation Dev Saab would further explore, to film his directorial ventures Hare Rama Hare Krishna and Ishq Ishq Ishq) and a memorable song sequence in Nalanda ruins (Bihar), a great deal transpires in Johny Mera Naam. But it’s in its seemingly miniscule details that the film catapults itself in another league. Right from its terrific opening credits, boosted by Kalyanji-Anandji’s groovy background score, Johny Mera Naam promises to be something special. Considering how keenly this all-rounder went on to influence later-day entertainers, it sure has kept its part of the deal. Johny Mera Naam opens with a scene in the boxing ring – two young boys, also brothers, presumably in their early teens, socking each other’s jawbones and eyeballs in an ongoing contest, which concludes with the referee declaring both triumphant. Next, the camera zooms to their relieved mother, pleased father and well-meaning family friend – both men clad in khaki uniforms – they’re police officers. 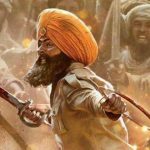 Cut to the first major kahani mein twist – the boys’ father is stabbed to death by a paid thug – leading one of the brothers to chase him and accidentally stab him with the same knife. The terrified boy hides himself in the boot of an unknown car, which coincidentally, belongs to his father’s original killer and notorious smuggler – Ranjit Singh (played Premnath). Oblivious to this, he grows up to become his right-hand man (Pran) while his younger sibling (Dev Anand) follows the footsteps of his policeman father. But this is Vijay Anand and he doesn’t believe in dragging the screenplay to emphasise on the magnitude of this double calamity. He means business and gets to the point without further ado but ever so foxily. So instead of sobbing mothers griping about ‘mere laal tu kahan kho gaya’ and ‘maa ki mamta,’ we meet Jeevan, a shady diamond dealer from Hong Kong. One of the most feebly utilised character actors, Jeevan proves his range beyond the stumbling, hamming fool with restrained shrewdness here. It’s equally great to witness Iftekhar in a rare, refreshingly loosened-up avatar. There’s a nice moment between the two where the latter interrogates him with one half of a photo asking him if he’s seen the fellow in the picture anywhere and Jeevan flatly denies only for the cop to unfold the other side revealing him in the photo. Ditto same scene took place between Dilip Kumar and Amrish Puri in Ramesh Sippy’s Shakti. Jeevan’s Heera is crisply written, especially noteworthy are the events that lead him behind bars — how the cops track him at the sports club, the curious case of his racket, his subtle signals – a nod, a whisper, a look and eventually his arrest over drinking alcohol without permit. The last sequence also works as a hilarious excuse for I S Johar, playing a triple role (for which he was awarded Best Comedian Filmfare trophy), to demonstrate his fizzy humour. In jail, Jeevan meets Dev Anand, THE star and Johny Mera Naam’s swashbuckling titular hero, in a role designed to spotlight his larger-than-life flamboyance. And he happily obliges. Clad in a hip wardrobe (in tan, pink, ochre and carroty hues) of trendy jackets, printed shirts and vibrant silk scarves, the legend lives up to his fashion icon reputation. To think he’s in his late 40s romancing a 22-year old Hema Malini (looking chic in Bhanu Athaiya designed ravishing outfits). Despite the age difference, the duo makes a beautiful pair and their bittersweet banter provides a delightful distraction from the conspiracy-rich plot. Though the pair went on to star in as many movies afterwards –Tere Mere Sapne, Chhupa Rustam, Shareef Badmaash, Joshila, Janeman, none matched the chemistry of the first one. 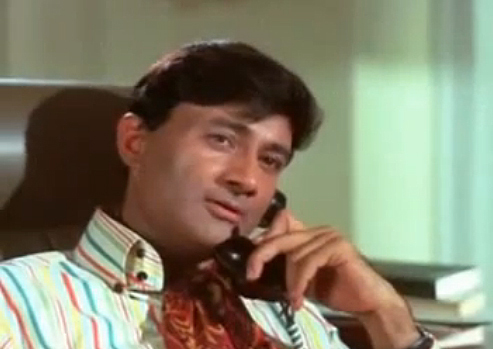 Dev Anand’s Johny of the ‘Mera asli naam Johnny. Naqli bhi Johny’ fame makes a deal with Jeevan over the diamonds, leading him to Rekha (Hema Malini), an accomplice of Moti (a reliably solid Pran) with the prime objective of breaking into Ranjit Singh’s gang, which operates from Kathmandu. Only no one is who they really seem. In discovering the motives through masterful twists, which entertain the gift for impromptu yarns, lies the real joy and beauty of Vijay Anand’s hugely successful offering. 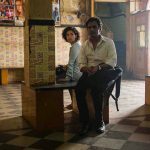 While its emotionality comes into play only during the end stages, Johny Mera Naam, for most part, is committed to engage with its irresistible depiction of both –the lawbreakers as well as the ones who protect it. And so smuggled goods or drugs are transferred in cartons underneath a layer of fragile glasses or musical instruments, fake jewels are readied to replace authentic ones, dealing parties get access over verbal codes like Ek Aur Ek Gyarah and exchange of suitcases happens in the blink of a eye-– the kind you notice only because of Fali Mistry’s alert (and deft) camerawork. The kind of gadgetry Iftekhar equips Dev Anand’s undercover cop with – a lighter that can secretly takes pictures (while cautioning him Fizool mat zaaya karo, film barbaad hoti hai) and a transistor that can read conversations with the aid of hidden microphones – is reminiscent of a certain agent who goes by the roll call of 007. So is a neat drilling session, wherein a tied-up Johny transforms into a tied-up comic flawlessly fibbing and flirting to impress and win Moti and Rekha’s trust. Unaware of their blood ties, they casually address each other as brothers. In any other movie, the sitars would set off but there’s place for hokey face-offs in Vijay Anand’s vision. Boxing bonded them. Boxing brings them back together. In a spectacularly staged moment, it’s not some piece of photographic evidence or weepy mom or concealed body scars, but simply the other’s hitting style that leads to realisation and reunion. What’s also notable is how songs aren’t mere fillers to highlight Hema Malini’s gorgeous, glamorous being or Dev Saab’s competence to woo but often work as opportunities to forward the narrative. In O Mere Raja, the pair evades a bunch of prying police eyes by pretending to be up, close and personal. Our imaginative director films it against the stunning backdrop of Nalanda, ruins, temples, cable car et al, to lend even more razzle to the dazzle. In Mose Mora Shyam Rootha, a luminous Malini expresses her moral dilemma in robbing/replacing jewels off temple deities while an intimidating Pran looks on. They’re both in get-ups, something the protagonists of Johny Mera Naam indulge in a lot to draw out the game of deceit. Even the seductive striptease by Padma Khanna, where the dancer moves evocatively in bare minimum clothing to attract a disturbingly turned on Premnath’s lust, Husn Ke Lakhon Rang (in Asha Bhosle’s no hold barred sensual voice) and save her boyfriend (Randhawa, also Dara Singh’s younger brother) is inarguably risqué for its time. Besides strengthening Khanna’s bold image, the malevolent onscreen deeds of Premnath brought his efficiency at villainy in forefront. Needless to say, Johny Mera Naam’s soundtrack by Kalyanji-Anandji has turned out to be as enduring as the movie, in particular Kishore Kumar’s peppy rendition of Pal Bhar Ke Liye and Nafrat Karne Walon Ke. Given the number of complications that develop during the course of Johny Mera Naam, the climax is expectedly lengthy but always engrossing. The histrionics are subdued and sly with everyone either engaged in outsmarting another, discovering a lost one but ultimately trying to come out on top. In this fascinating feature, screenwriter, actor and director Saurabh Shukla breaks the climax down in detail and points out its merits with the objectivity of a filmmaker. This article was first published on rediff.com. Teesri Manzil: Style, substance, suspense and Shammi Kapoor! Khamosh: The deafening scream. The deadening silence. Ittefaq: The dark sides of Rajesh Khanna & Nanda! 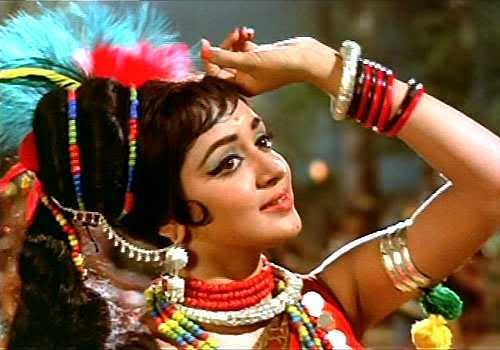 Remembering Hema Malini’s unforgettable roar in Lal Patthar! This entry was posted in Classics, Columns & Reviews and tagged 1970, blockbuster, dev anand, hema malini, hindi films, i s johar, johny mera naam, kalyanji-anandji, padma khanna, pran, premnath, vijay anand. Bookmark the permalink. 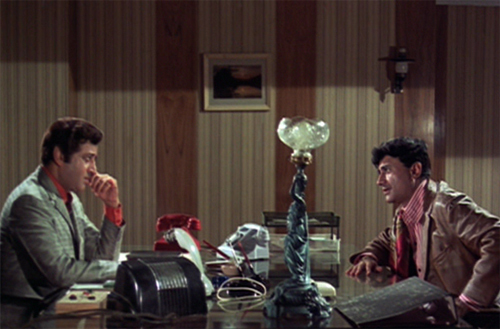 2 Responses to Rediscovering the merits of Dev Anand’s slick, stylish Johny Mera Naam!